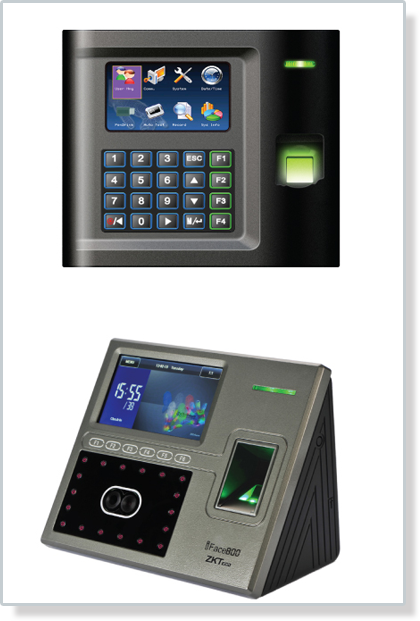 Access Control – SMART Technologies Ja. Biometrics is the study of unchanging measurable biological characteristics that are unique to each individual – such as fingerprints or irises. Biometrics can be implemented by: companies, governments, military, hospitals, banks, etc. to either verify a person’s identity for something like limiting or allowing access to a certain building area, computer files or to identify individuals to record information about them such as with criminals. The main concern for clients of biometric devices is the accuracy of measurability, and cost effectiveness. Again, as technology improves and costs decrease, identification and verification systems will be implemental by industries who find it in their best interest (cost vs. necessity) to safeguard their data and assets. It is clear that biometrics will be a huge part of our future and an innovative and forward thinking company such as SMART Technologies is ensuring their place in the future of biometrics is secure. Many companies locally are losing millions by means of flawed access management systems. SMART Technologies seeks to curtail this by using secure biometric readers instead of the traditional PIN or HID access cards. In addition, SMART Technologies is using OEM hardware and designing software products to complement many of the security panels already in use locally and at low implementation costs. The solutions we ultimately deliver will provide the client with a working model that incurs very low start up costs but results in huge savings in the short to long term.